6-Person Relay: each leg of the relay will be approximately 1/2 mile. Teams can be made up of all men, all women, or any combination of men and women. Each team will have the option of creating their own “special relay baton” -something to show the spirit of the team. If teams do not want to make a baton, Team GBGH will provide a baton. Prizes will be awarded to the winners & individual trophies of the different categories. Team Captains will need to register first in order to set up team pricing, the runners can sign up as an individual. 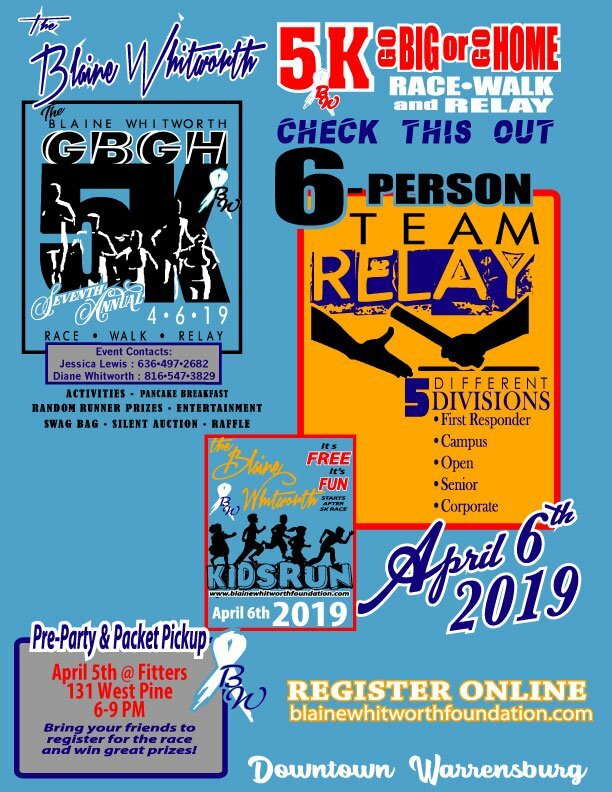 At check in, GBGH will assign your team their relay race bib and race map.